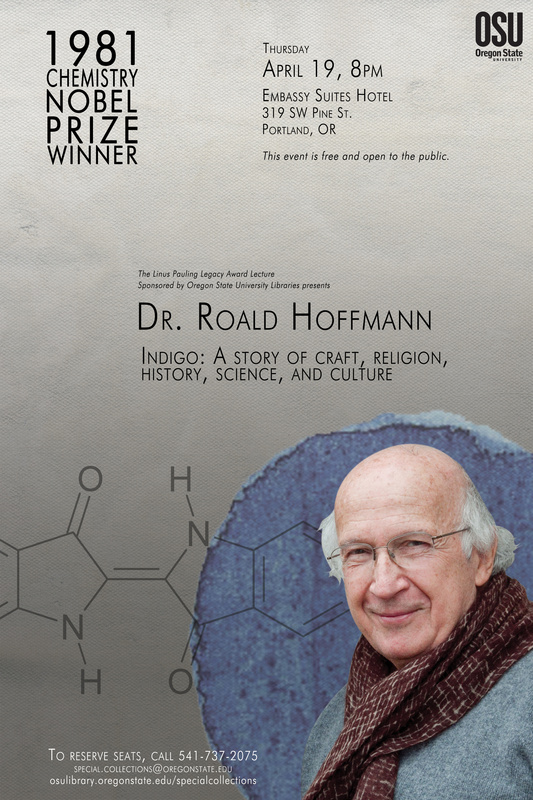 The fully transcribed video of Dr. Roald Hoffmann’s presentation, “Indigo – A Story of Craft, Religion, History, Science and Culture,” is now available on the Special Collections & Archives Research Center website. Hoffmann’s talk was delivered in conjunction with his receipt of the Linus Pauling Legacy Award, presented in Portland on April 19, 2012. A packed house of some three-hundred people was thoroughly engrossed by Hoffmann’s lecture, which lent credence to the professor’s reputation as a talented speaker. In tracing the historical development of indigo, Hoffmann first noted that Hebrew scripture has required, from very early on, that a small tassle of the garments worn by observant Jewish males be dyed blue. For generations this decree presented something of a problem in that the only known source of indigo in ancient times was the gland of a specific type of Mediterranean snail – 10,000 of which were required to produce a single gram of dye. As technologies advanced, various plant species were discovered that could produce a similar shade of blue. However, as Hoffmann noted, the world would need to be completely covered with indigo plants ten feet high to color the 2-3 billion pairs of blue jeans now thought to be produced each year. Hoffmann used this statistic to expound upon the power of chemistry and its ability to create synthetic forms of the dye. Dr. Hoffmann was the fourth Nobel laureate to receive the Legacy Award and the seventh honoree overall. Previous awardees include chemists Roger Kornberg, Roderick MacKinnon and Jack Roberts, and biologist Matthew Meselson. Two other lectures, both by past OSU Libraries Resident Scholars, are also now freely available online. 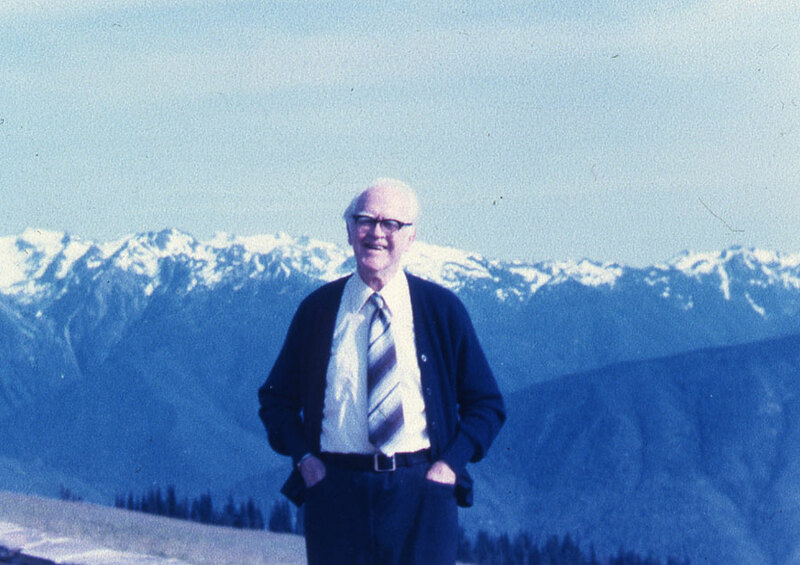 Emmett is recalled by Davis – once a post-doctoral student of Emmett’s – to have been a kind and talented man who enjoyed a long and distinguished career. Best known for his formulation, with Stephen Brunaur and Edward Teller, of the BET equation, (which Davis calls “Nobel quality work”) Emmett also made major contributions to the scientific understanding of ammonia synthesis and the Fischer-Tropsch process. In reviewing these highlights of Emmett’s biography, Davis’ lecture provides both an overview of Emmett’s major scientific achievements while also lending a glimpse into Emmett’s habits and personality from one who knew him and has continued to study his work. A second lecture, “Hidden in Plain Sight: The Life of Ava Helen Pauling,” was delivered by Oregon State University professor of history Dr. Mina Carson, who is writing a biography of Ava Helen. Carson’s talk, which was given in late 2009, reflects her thinking at that time as she developed the framework of her book, which will be published in 2013. At the time, she noted that attempting to write the life of Ava Helen Pauling forces the biographer to confront a number of difficult questions. Perhaps the most vexing is this: how does the biographer write the life of a wife? In particular, a wife who enjoyed her own world-changing career but whose life and work were inseparably fused with, and in many ways dependent upon, her husband’s work and fame? In ruminating on these topics, Carson also reflects on the major choices that Ava Helen made at critical points in her life as she sought to clarify her own interests and identity. These three releases comprise only the latest additions to the large cache of digitized video available on the SCARC website. The full list of contents is available here. A capacity crowd of some three-hundred people gathered in Portland last Thursday April 19th to hear Dr. Roald Hoffmann deliver a fascinating lecture, “Indigo: A Story of Craft, Religion, History, Science and Culture.” Dr. Hoffmann traveled to Oregon to receive the seventh Linus Pauling Legacy Award, which was granted during a dinner that preceded his public lecture. A few images of the evening are below. Roald Hoffmann delivering his Pauling Legacy Award lecture. Dinner venue for the evening – The Fireside Room at the Embassy Suites Hotel, downtown Portland. Dr. Hoffmann speaking with Becky Warner, OSU Vice Provost for Academic Affairs and International Programs; Brent Steele, OSU Political Science professor; and Rick Spinrad, OSU Vice President for Research. Linda Richards, former OSU Libraries Resident Scholar, speaking with Linus Pauling Jr. (wearing his indigo aloha shirt!). Guests seated for dinner. In the foreground is Ken Hedberg, a Caltech Ph.D. who worked with Pauling in the 1940s. Hoffmann receiving the Pauling Legacy Award certificate from OSU University Librarian Faye Chadwell and Linus Pauling Jr.
Hoffmann holding the Pauling Legacy Award medal. Roald Hoffmann, 2012 Pauling Legacy Award winner. The large crowd gathering for Hoffmann’s lecture. Some folks showed up more than an hour early to insure a seat and one group came all the way from Astoria, nearly two hours away! Faye Chadwell welcoming the audience. Dr. Mary Jo Nye, OSU History of Science professor emeritus, introducing Dr. Hoffmann. Hoffmann’s lecture was filled with striking imagery. Hoffmann in Israel with colleague and co-author Shira Leibowitz Schmidt. They were in search of the original source of indigo, a specific kind of Mediterranean snail. 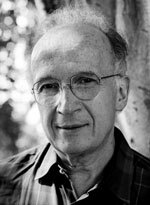 Dr. Roald Hoffmann, chemist, educator, author and Nobel laureate, is the seventh person to be given the Linus Pauling Legacy Award, which is granted every other year to an individual who has achieved in an area once of interest to Linus Pauling. The award is sponsored by the Oregon State University Libraries. Seating is limited and we suggest that individuals or groups interested in attending reserve seats. To do so, please contact the Special Collections & Archives Research Center at 541-737-2075 or special[dot]collections[at]oregonstate[dot]edu. 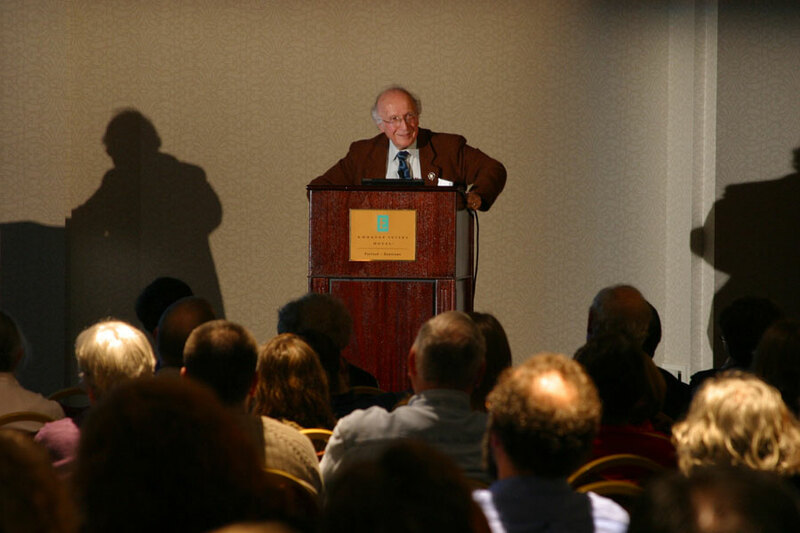 A renowned speaker and writer, Roald Hoffmann is best known within scientific circles for his work in applied theoretical chemistry. With Kenichi Fukui, he received the 1981 Nobel Chemistry prize “for their theories, developed independently, concerning the course of chemical reactions.” As with Linus Pauling before him, much of Hoffmann’s career as a chemist has been devoted to determining the structure and properties of large molecules and to communicating these characteristics to both professional colleagues and students alike. Hoffmann has likewise contributed significantly to improving science education for the general public. He participated in the production of a popular television program titled “The World of Chemistry” (1990) and has published a number of books written for the lay science enthusiast. Hoffmann has also made his mark as an author of fiction through the release of numerous collections of poetry as well as three plays. One theatrical production, “Oxygen,” was co-written with chemist Carl Djerassi and has been performed in ten languages worldwide. One way to see the role of a desirable blue pigment, indigo, in world culture, is that it has served remarkably to intertwine craft, fashion, religion, power, and science. Even if some people would like to keep them separate. The story begins with the prescription by the Hebrews in Numbers of a blue pigment for ritual use (and its role in a critical biblical rebellion), the parallel story of Tyrian purple and its uses in the Roman world, continues with the animal and plant sources of that pigment worldwide, the historical loss of the art of making snail indigo, on to chemistry and blue jeans. Some observations on the relationship of science and religion will emerge along the way. Born in Zloczow, Poland in 1937, Roald Hoffmann is a survivor of the Nazi occupation of eastern Europe. He received his undergraduate degree from Columbia College in 1958 and his Ph. D. from Harvard University in 1962. He has received numerous honors, including over twenty-five honorary degrees. He is the only person ever to have received the American Chemical Society’s awards in three different specific subfields of chemistry – the A. C. Cope Award in Organic Chemistry, the Award in Inorganic Chemistry, and the Pimentel Award in Chemical Education. 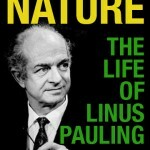 The Pauling Legacy Award is granted every other year to an individual who has contributed to an area once of interest to Linus Pauling. Past recipients have included Nobel laureates Joseph Rotblat, Roderick MacKinnon and Roger Kornberg, as well as Harvard University biologist Matthew Meselson and Caltech chemist John D. Roberts. 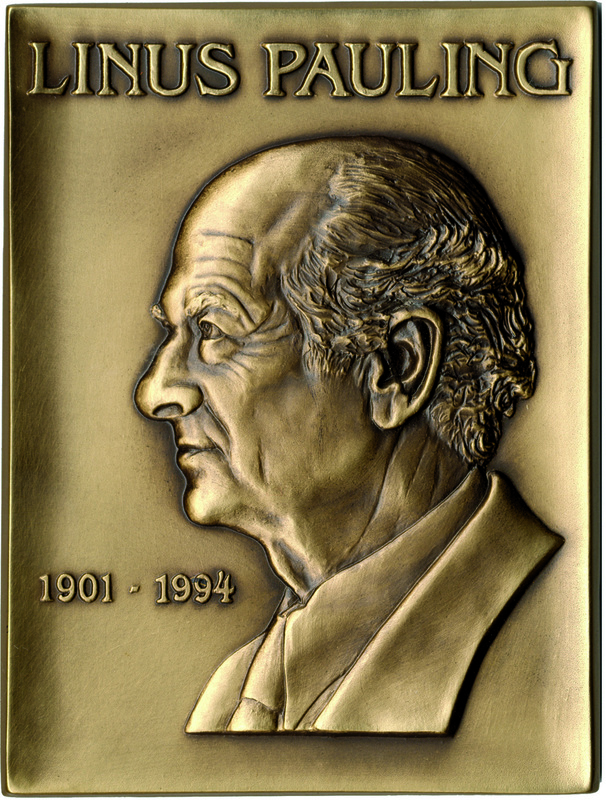 The Linus Pauling Legacy Award medal.